Does your back pain have you feeling down or making it hard for you to live out your life normally? While you may need professional help get you completely back on your feet, there are a few things that you can do to relieve some symptoms of pain right from home. You just need to find the best low-impact cardio exercise for your spine. You have many options available to you, and all of them are good and simple to do. So, grab a mat, head to a pool, or hop on a bike, here are some of the best cardio workouts for your pain. As you most likely know, you’re a lot lighter when you’re in a body of water. This is because of the water’s buoyancy. This buoyancy also does wonders for your back because it relieves the earth’s pull on your spine. This makes swimming the best low-impact cardio exercise around. The best strokes to do are the back and side ones. Stay away from the breaststroke because that will just make things worse. You can also try running along the bottom of the pool. While the effects of swimming are most effective when you are more than waist deep in the water, running helps too. Using an elliptical can be an intense workout but it’s still a pretty low-impact one in terms of back pain. This is because it’s not very jarring and it allows your legs to move in an oval motion rather than striking the same path every single time. You also get a little bit of customization depending on what you want to get out of the workout. For example, you can adjust how much peddle resistance you have or if your upper back is what’s ailing you then you can choose a machine with moving handlebars to give it more attention. You’ll be able to choose from a standing or seated elliptical machine. A standing one allows you to keep up a good posture while you workout, so it’s the best for straightening out back pain. At the same time, the seated one can give you a little lumbar support and take some pressure off your spine. Outdoor biking is a little rough on your back because the holes and loose rocks on your path make for sort of a bumpy ride. Cycling inside helps you get the benefits of riding a bike but without all of these obstacles. You can choose an upright stationary bike or one that leans back. The upright one helps you stay in good posture while the one that leans back can provide you with a little comfort. Stationary bikes also break smoother than any outdoor bike that you could ride. If you’re looking for this smooth sort of ride, then you should look into a bike with magnetic resistance. Walking isn’t the most low-impact thing that you could do but it can help if you have chronic back pain because it’s still rather gentle. 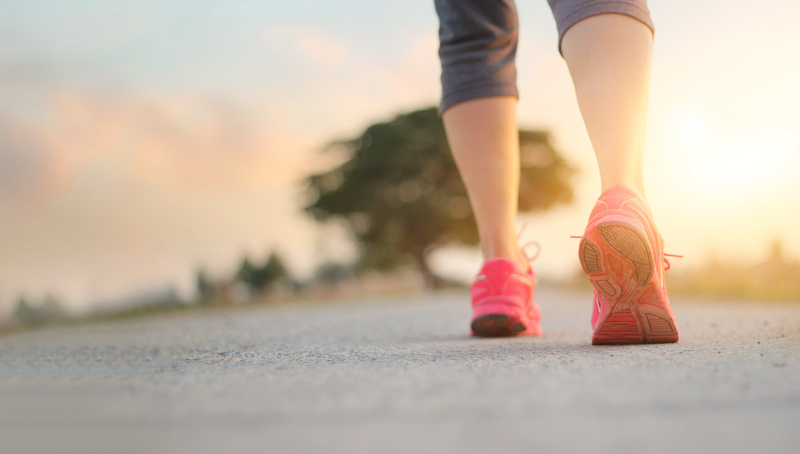 To get the full impact of the exercise, make sure to walk at least three miles a few times a week. The other good thing about walking is that you don’t need equipment or even a gym membership. Just a pair of high-quality shoes and a path. For these last few exercises, you’re going to need to pull out the yoga mat. To do the spine stretch you’ll need to grab a pillow and put it behind your head as you lay down on the floor on your back. Bend your knees together and move them to the side. Move your pelvis soon after your knees while being sure to keep your shoulders on the ground. Do this about eight times while alternating sides. Do not do this exercise if you have a herniated disk. While your back is recovering it’s important that you mobilize it often. Doing the bird dog exercise will do just that. Get down on all fours, being sure to keep your hands under your shoulders and your knees under your hips. Keep your spine in a neutral position with your head in line with it. Slowly extend one of your legs and the arm opposite of it. You’re going to hold this position for 15 seconds or so and then switch. If the above exercise isn’t for you, another one that can sort of provide the same effects is the bridge. Lay down on your back while keeping your knees bent and your feet hip distance apart. Lift your hips off the floor and keep lifting until your hips and knees are in a line. Keep doing this about 8 times. It’s a fairly simple exercise but you’ll find that it will help ease some of your back pain. Pelvic tilts are going to start about the same way that the spine stretch did. Lay on your back with a pillow under your head and bend your knees. Keep your feet apart, your body relaxed, and your chin tucked in. Contract your stomach muscles and then move your pelvis toward your heels until you feel your back arch. Repeat this process about 8 times. To do the lower back stretch, get on all fours again while making sure to not lock up your elbows. Your knees should be under your hips and your hands under your shoulders. You’re going to slowly move your lower half toward your heels and hold yourself there for about 20 seconds. If you want to speed up your back recovery or even just relieve a little bit of pain then you’ll need to pick out a few low-impact cardio workouts. Use the ones listed above to take your life back and have fun while you do it. Does it turn out that you need back surgery? We can handle it. Book an appointment with us today.